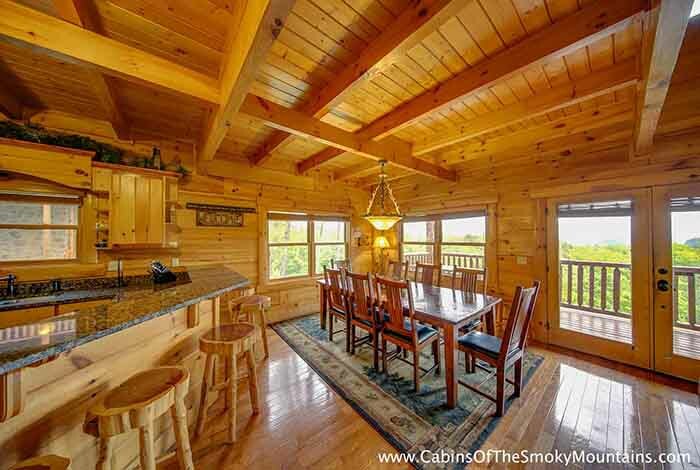 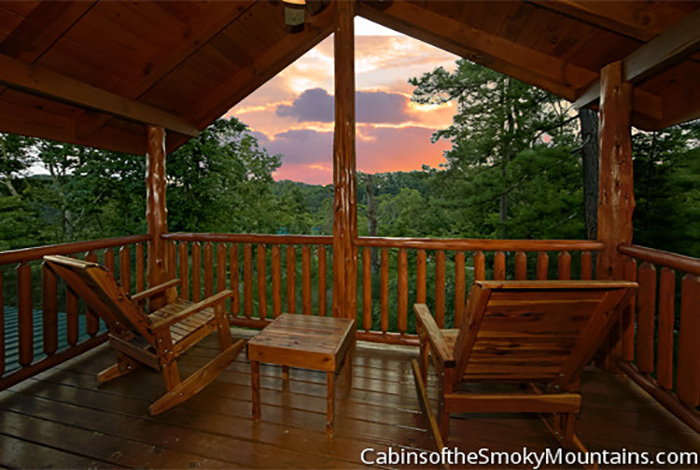 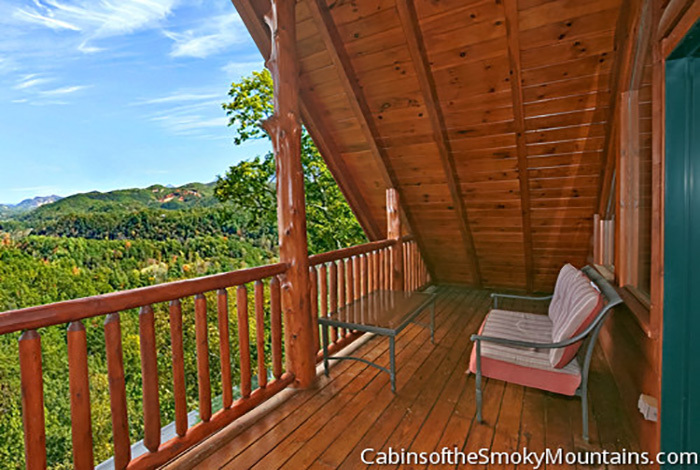 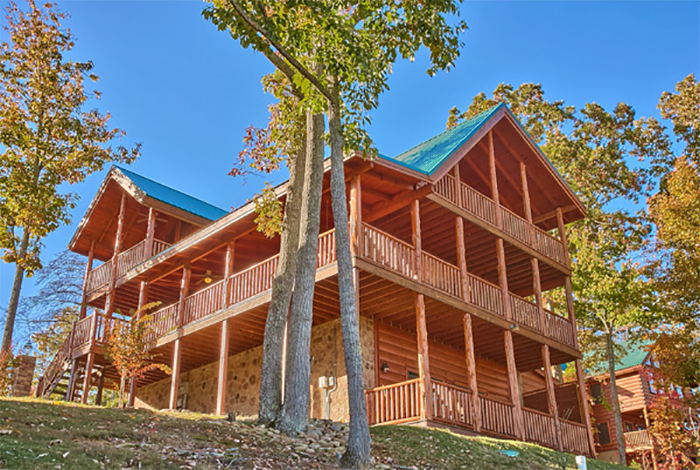 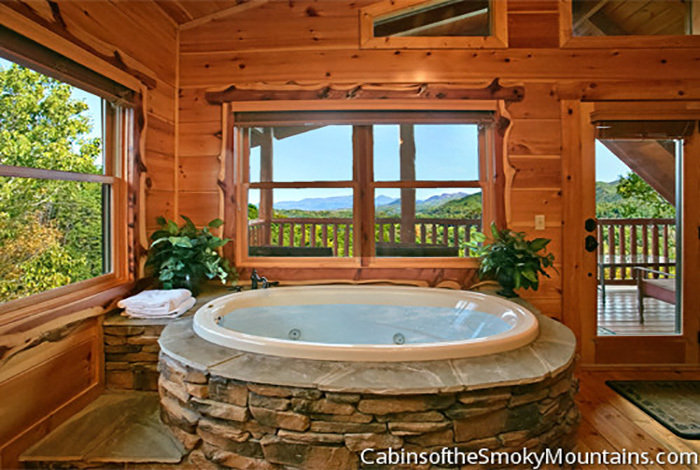 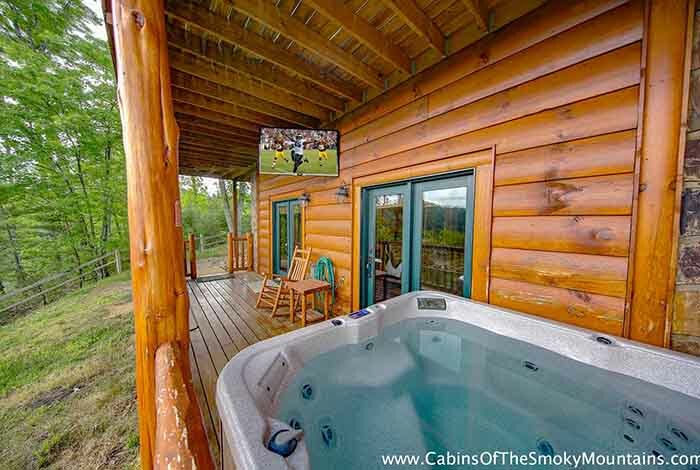 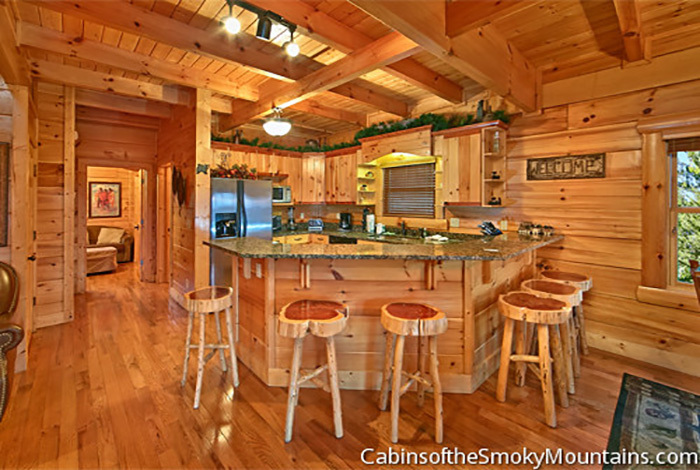 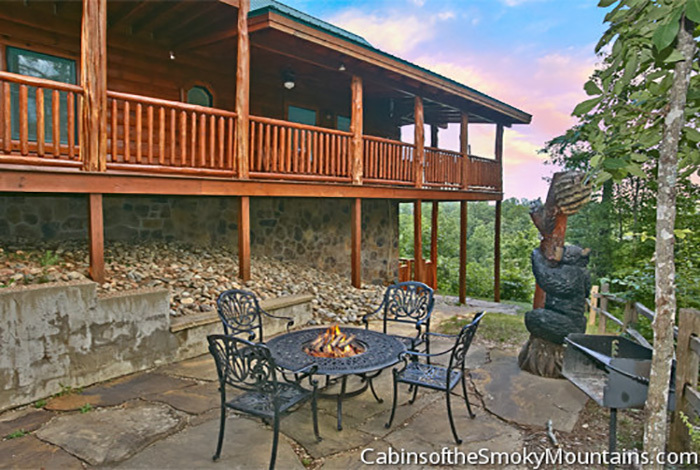 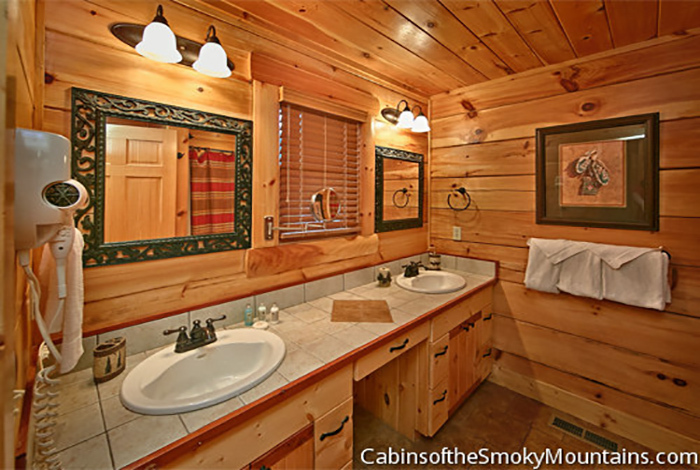 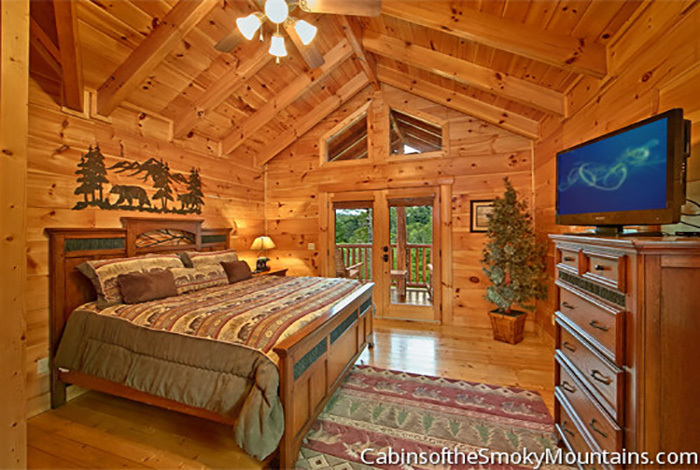 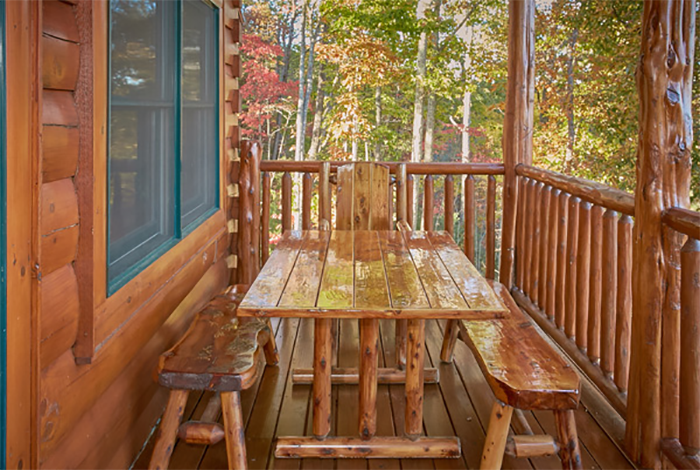 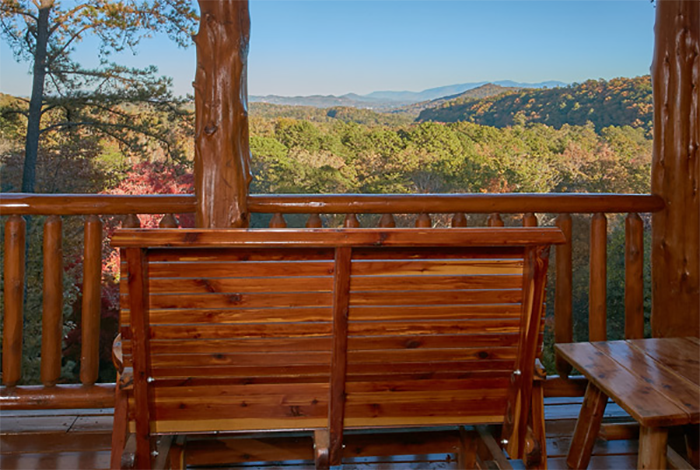 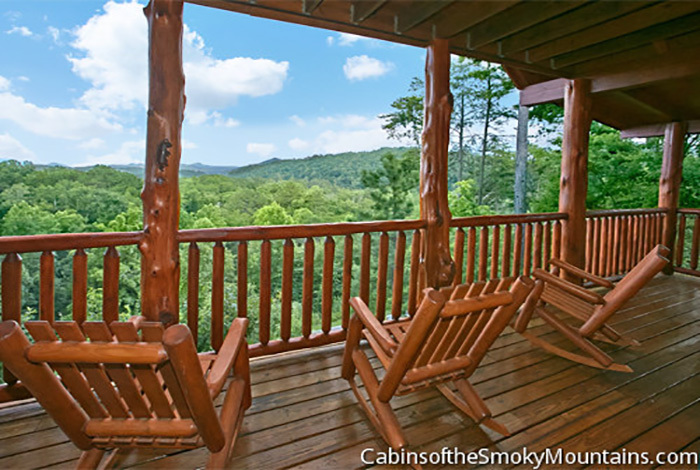 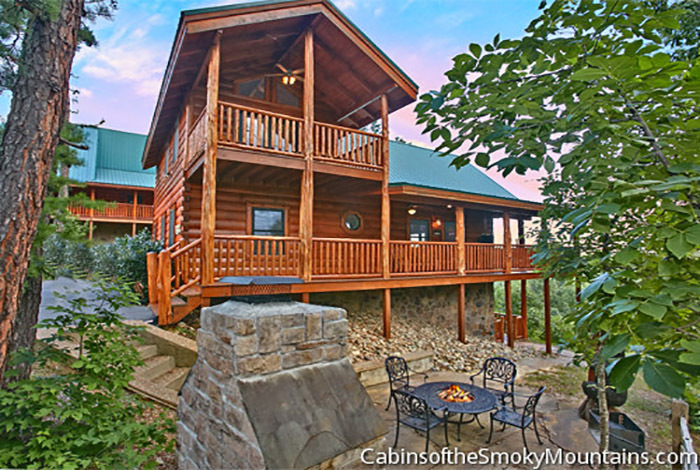 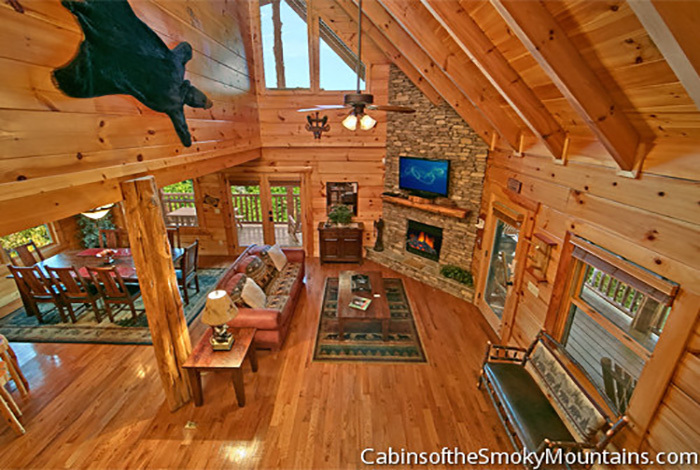 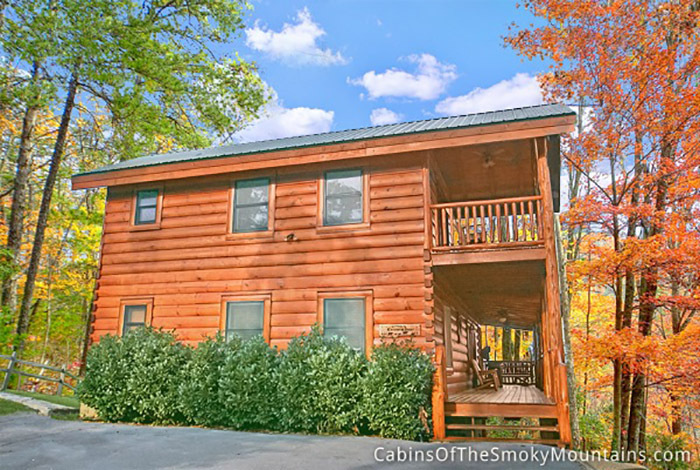 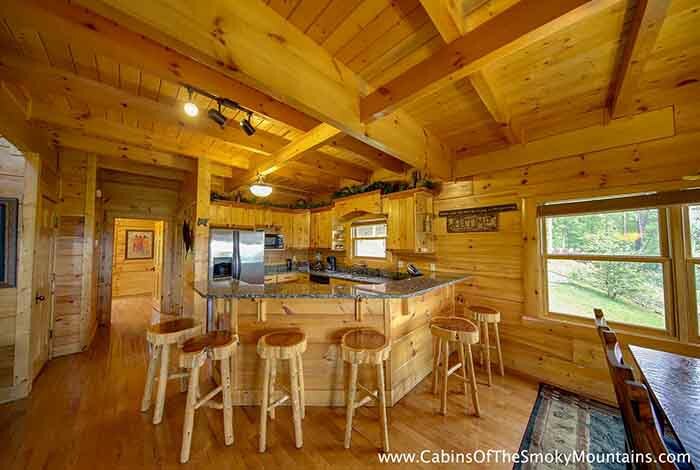 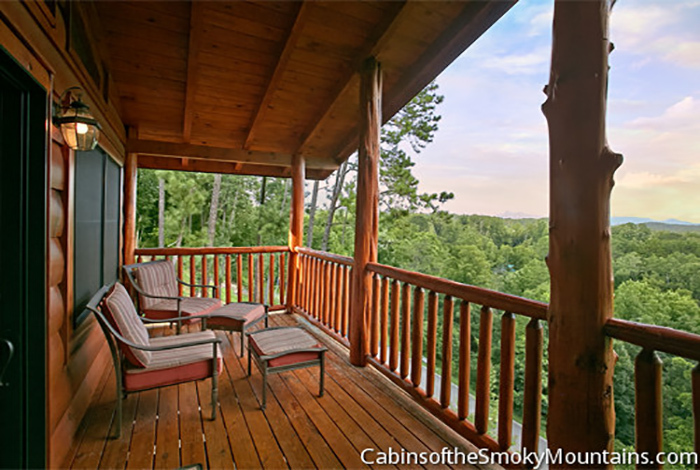 Your search for the ultimate luxury cabin in Pigeon Forge is over, this is the luxury cabin you’ve been waiting for! 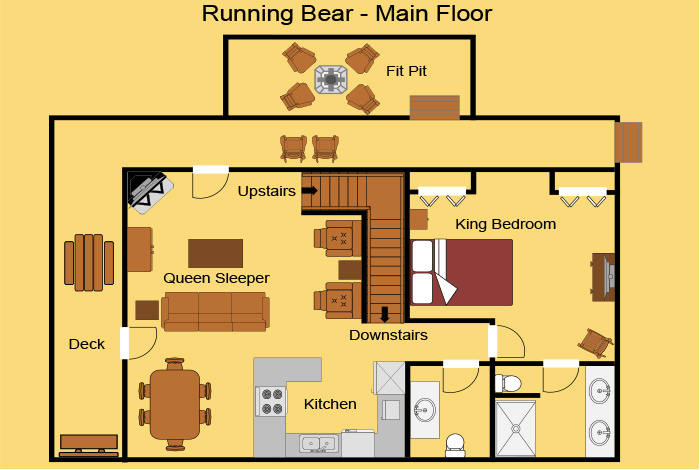 Running Bear is a 3-level log cabin in an upscale resort community. 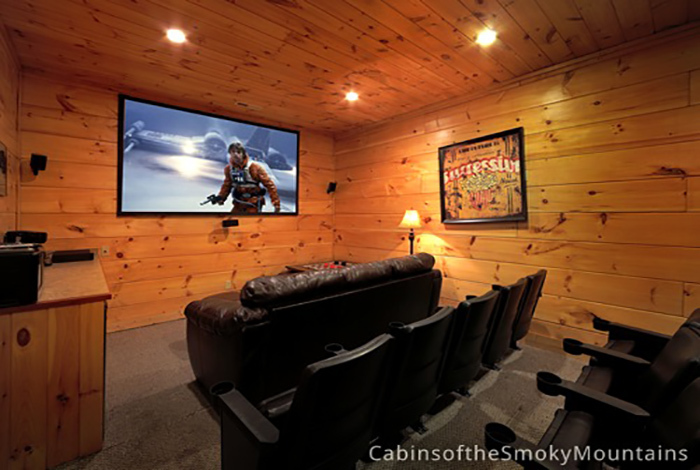 It is perfectly suited for families and friends. 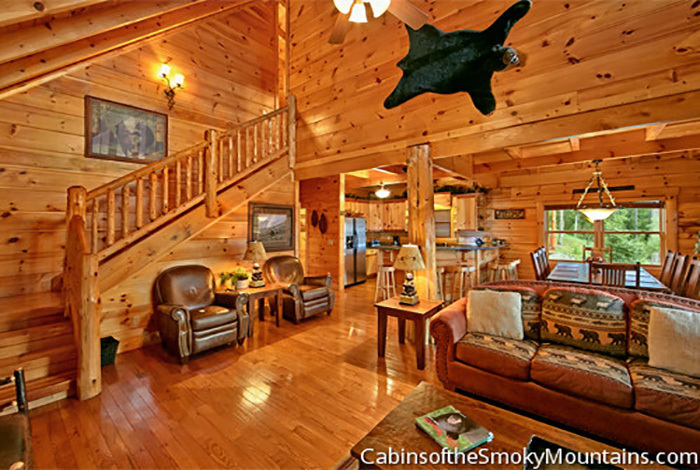 As you enter the home you will be impressed with the rustic, yet sophisticated, log cabin décor and the wide open layout. 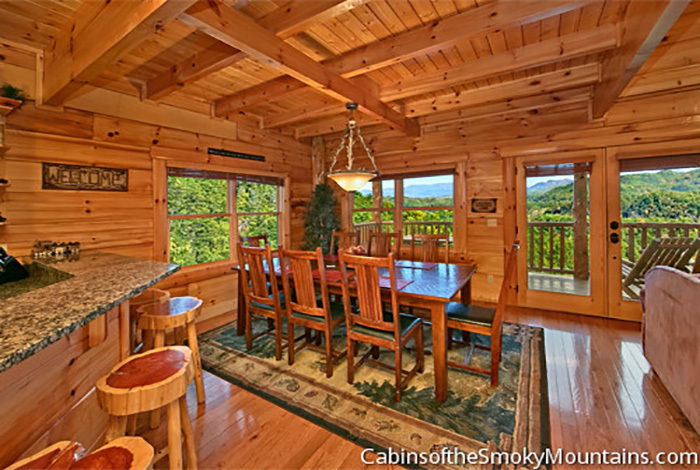 Enjoy the fully equipped kitchen to prepare a big family meal after trekking through the Great Smoky Mountains or flying above the trees zip lining. 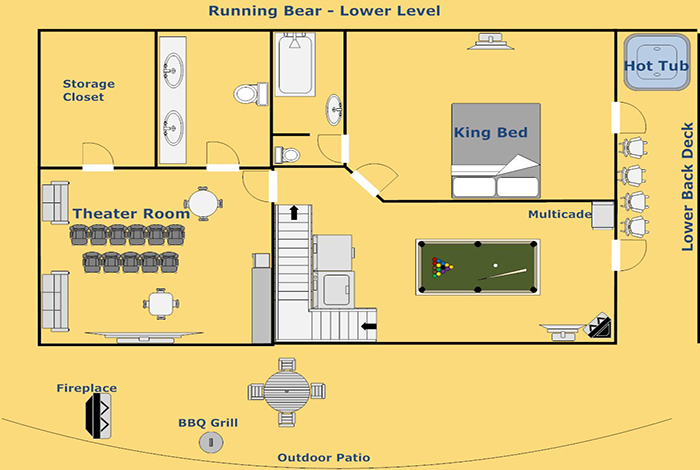 There’s a large open dining area with a large table that seats 8, with 4 at the bar. 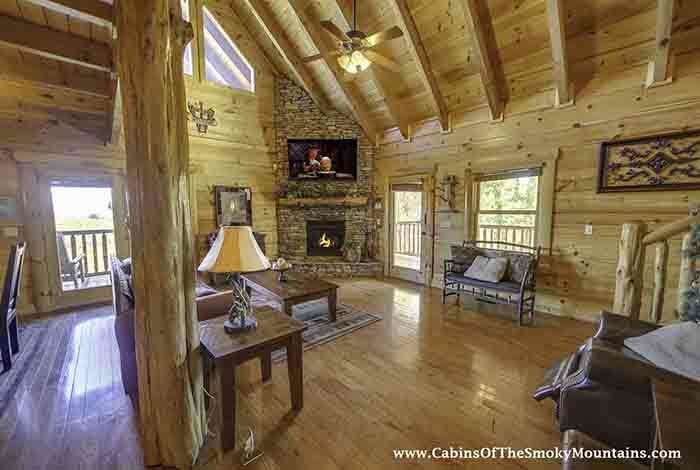 Also on this level is a comfy and open Living Room where you can unwind on the sofa in front of the gas fireplace, and enjoy the large Flat Screen TV equipped with Netflix. 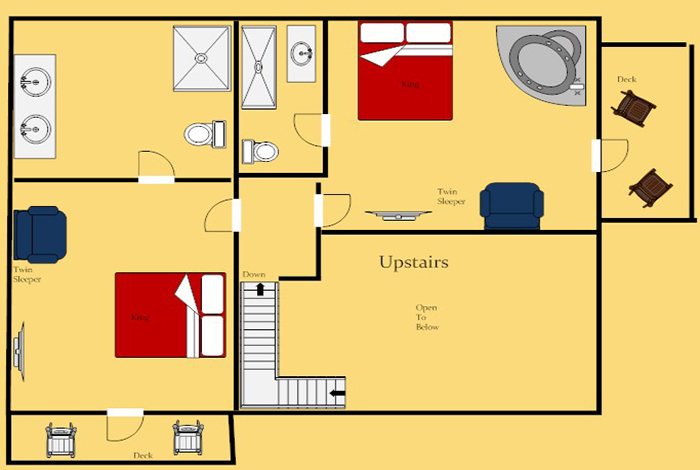 There is also a King size bedroom with dresser and closet and a full bath on this level. 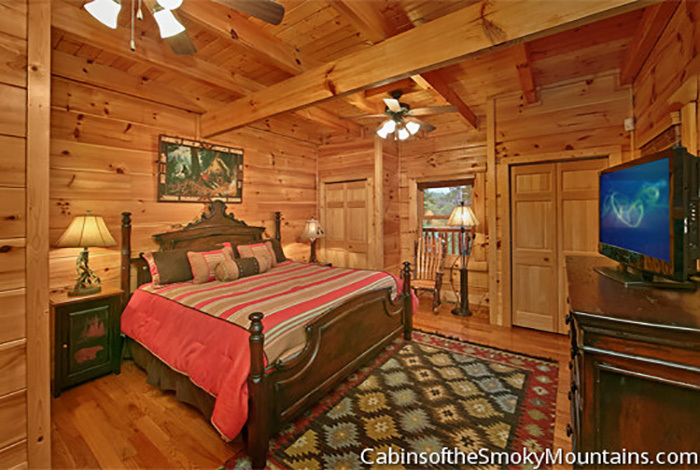 Head upstairs to the master bedroom and additional bedroom. 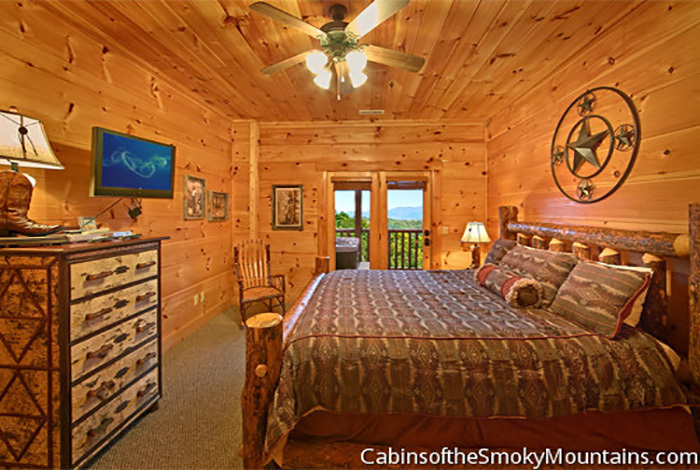 The master bedroom features a king size bed, 32” flat screen TV, large, Jacuzzi whirlpool tub, comfortable seating and a full bathroom. 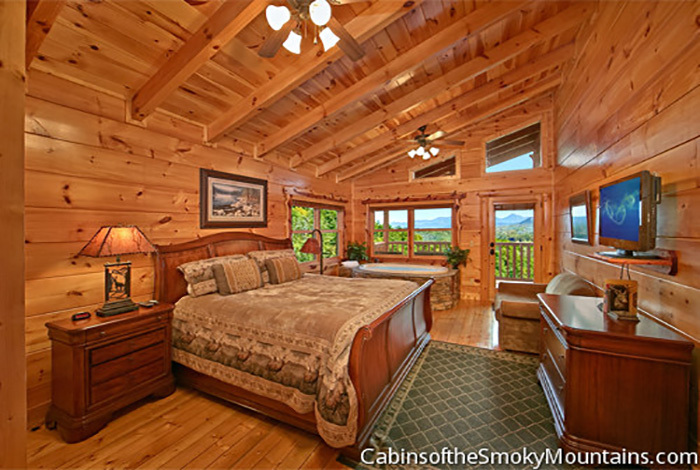 The third bedroom has a large window to enjoy the lush resort view, and is the perfect place to read a book or just relax. 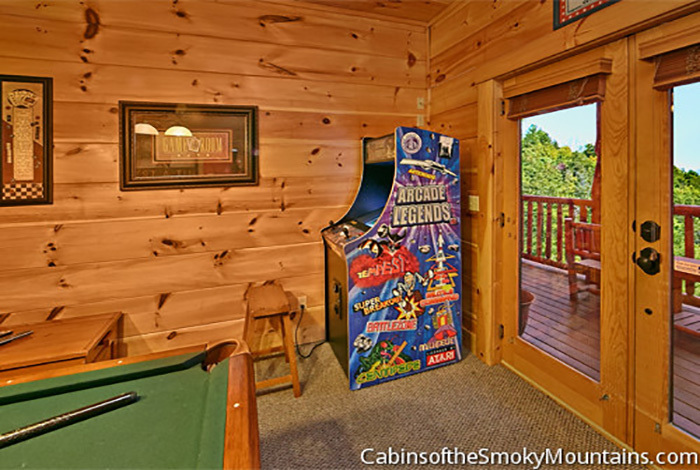 The lower level of this amazing cabin offers an additional king bedroom, full size bath, flat screen TV, pool table, arcade game with 60 of the oldies but goodies, a pull out queen sofa sleeper, and best of all your very own home theater. 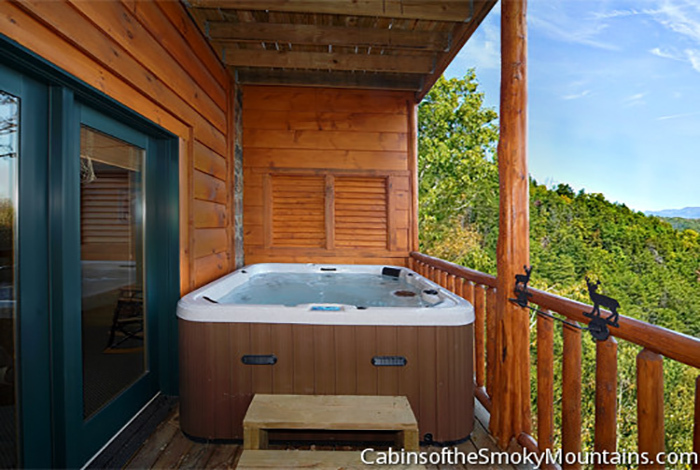 Oh and don’t forget the view from the 6-person hot tub on this level. 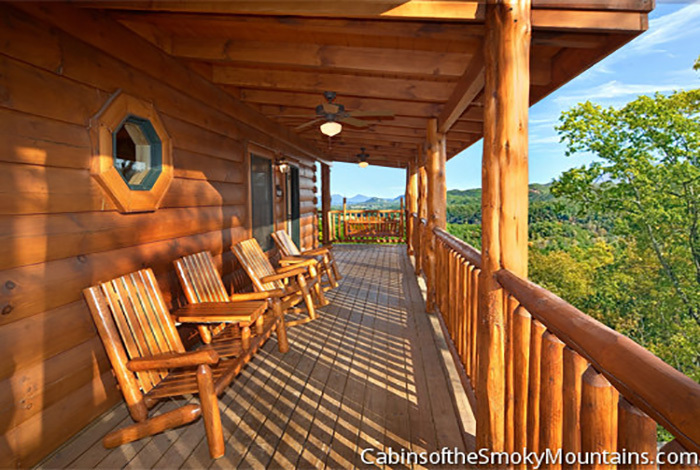 In fact, there are two, large wrap around decks on this cabin with rockers and a swing and a gas grill. 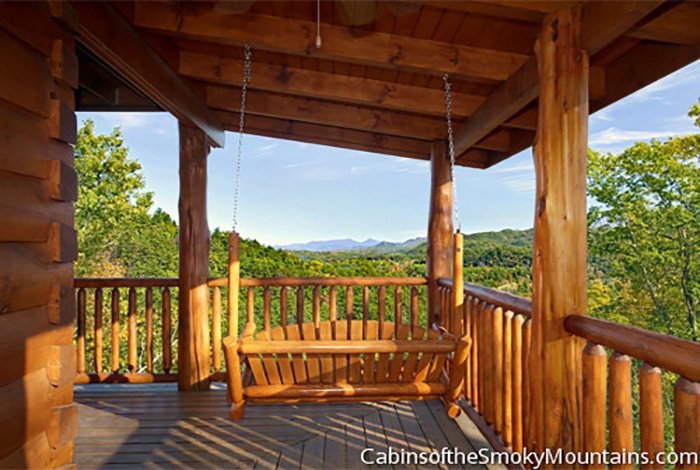 Sit on the deck in the morning or evening enjoying the sunrise or sunset. 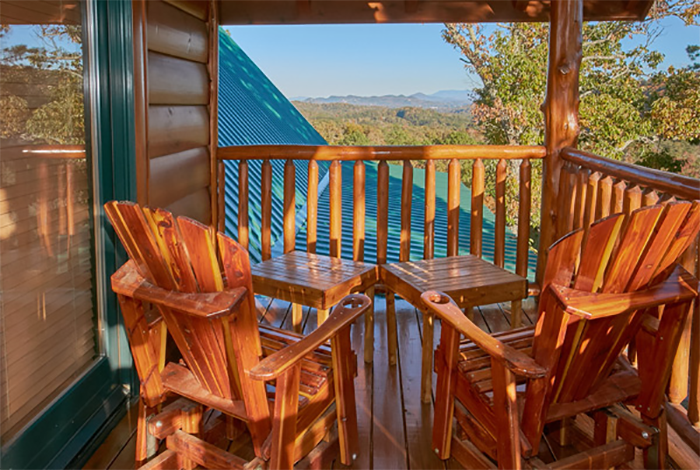 Running Bear combines views of Bluff Mountain with easy access to local shopping and entertainment. 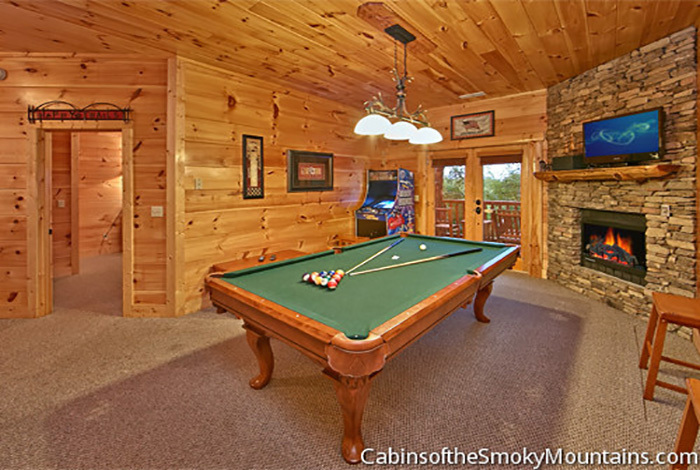 Sevierville, Pigeon Forge, Gatlinburg, Dollywood and the Outlet Malls just 5 to 10 minutes away, along with just about any restaurant you could imagine. 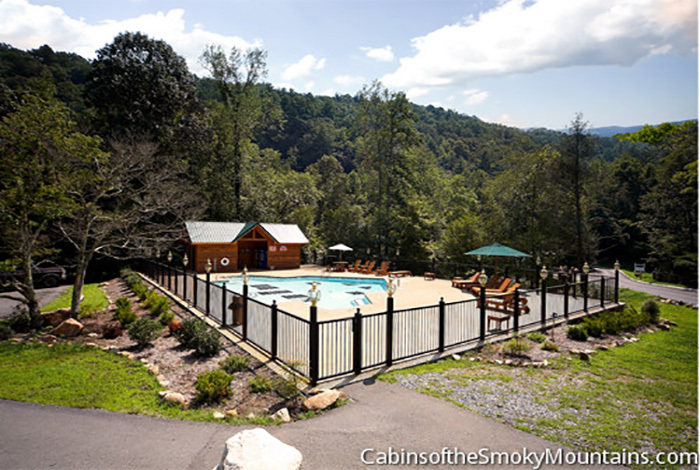 Enjoy the resort's seasonal pool. 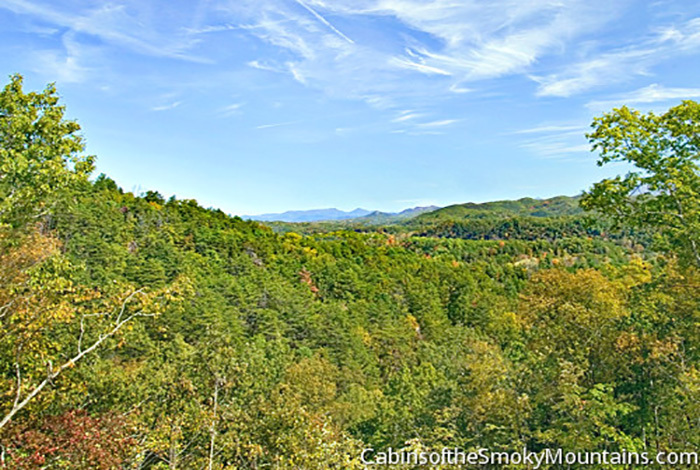 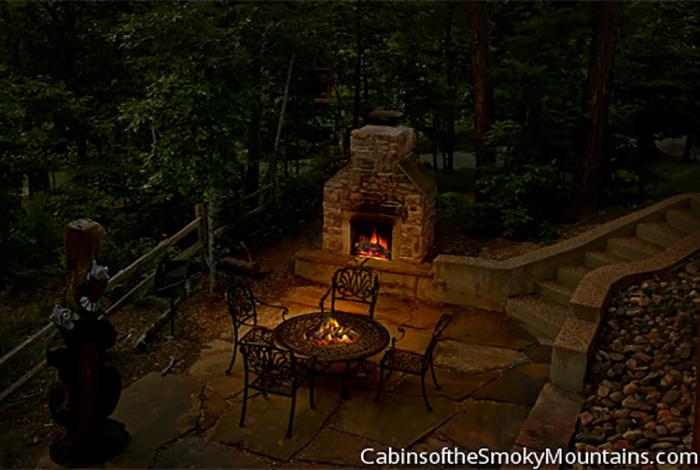 If you are looking for a great retreat where you can sit back and capture the essence of the Smokies, look no further. 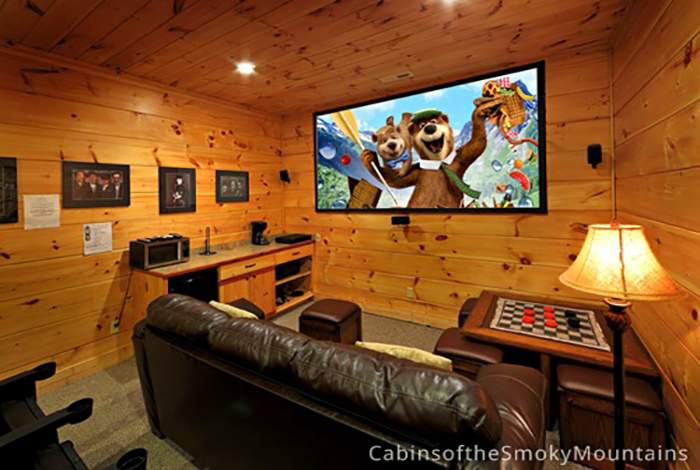  104 Inch Theater Screen w/ Surround Sound with theater seating for 9 as well as sofa seating.